Do you want to play drums in worship with confidence and style? 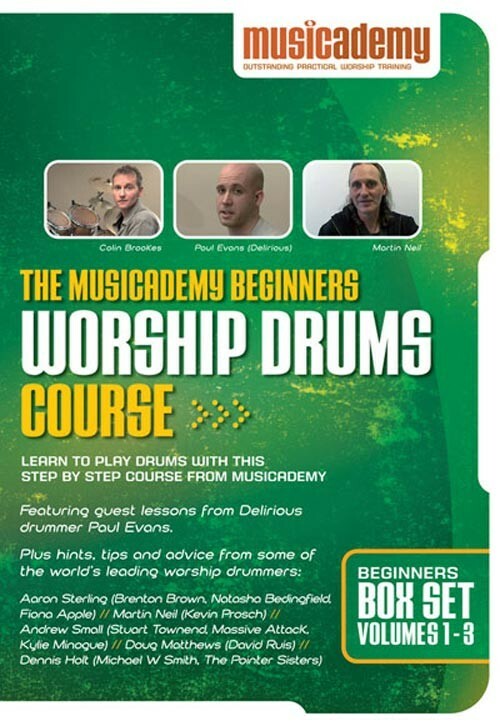 A complete beginners course that will teach you all the skills you need to play drums in worship. Songs featured on these DVDs include Alleluia, Here I am to Worship, Beautiful One, Blessed Be Your Name, Indescribable, Your Love is Amazing, Come Now is the Time to Worship and Hosanna (Praise is Rising). You can additionally purchase the Student Workbooks to accompany the DVDs. Each workbook takes you through the DVD in a step-by-step manner encompassing all the teaching, drum clicks, quick tips and worship leader interviews.The handbook is designed to be accessible by younger students as well as adults and includes lots of graphics for visual learners. There are also questions and discussion points for students following the handbook in a group. As a Beginners course, the box set is suitable for complete beginners who have never played drums before. Its also helpful for self taught drummers who want to go through all the basics and fill in any gaps intheir playing and improve their technique. What about the Drum Workout CD? 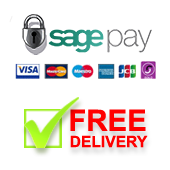 The Drum Workout CD is designed as a complimentary product to the DVDs providing three great drum work-outs with increasing levels of difficulty. There isn't really any overlap between the DVD and CD so it makes sense to buy the two together. We have a DVD called Worship Backing Band - Musicians Practice Tracks which contains 54 worship songs that you can play along with. Practice is a lot more fun with other people! You can select to take any one instrument out of the mix so you effectively get to play along as the dummer in a pro band. The DVD shows on-screen words and chords. 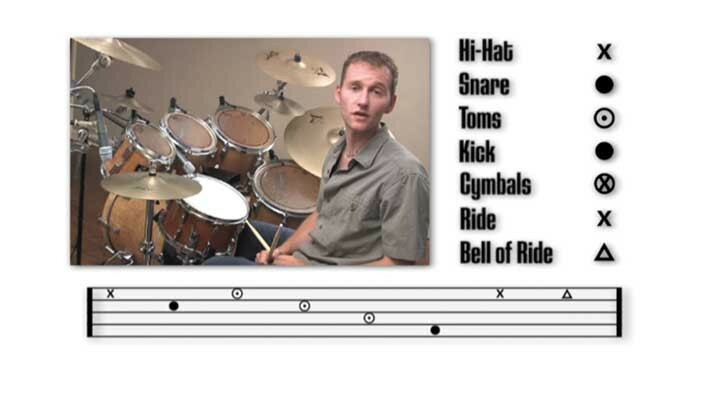 For drummers there is the option to play along to a click track which will really help develop your timing. The series of drum lessons have been very well thought out. I have learnt a lot in a short space of time. Just need to keep practising! I purchased the beginner series for our new drummer. She has been taking some private lessons and catching on rapidly, but wanting to do too much too quickly. I gave her the DVD's and she was so excited because it starts from square one and builds on the skills little by little. She's loves the fact that the instructions are very clear, the pace is reasonable and she likes the advice on how long to practice each beat pattern. I can see weekly improvement in her skills! Thank you musicademy for your instructional videos- they are top notch! We purchased this DVD set for our teenage son and it has propelled him forward at rapid speed in his drumming abilities. The amount he gleaned in just the first few hours was amazing ... people who had never heard him play before thought that he must have been playing for much longer than he actually had! The DVD venue is really beneficial for being able to 'play along', rewind, try it again, etc. He is able to go back and gain layer after layer. I highly recommend it. It is a great resource in a worship ministry at my local church. we purchased the musicademy beginners worship drums DVDs and they both taught the new drummer and improved the skills of the existing drummer and also inspired others to learn. I recommend it as a resource for worship ministries in churches. Really is an awesum tool to use when starting out. I highly recommend it to any beginner. These dvds really helped me a lot and helped me to build my confidence!! 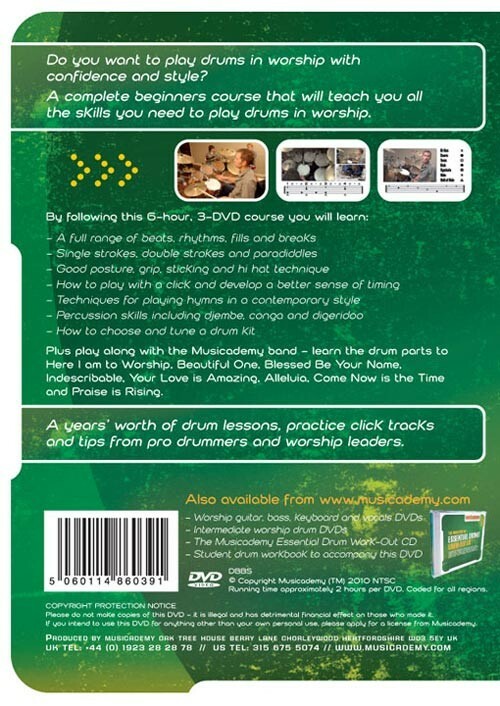 I enjoyed this DVD since it's building you from the ground up teaching you fundamentals as well as concerns you may have as a new drummer playing for your church. I found this set to be very helpful and encouraging. 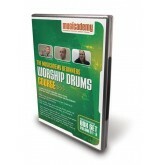 I purchased recently the Musicademy Worship Drums DVDs. 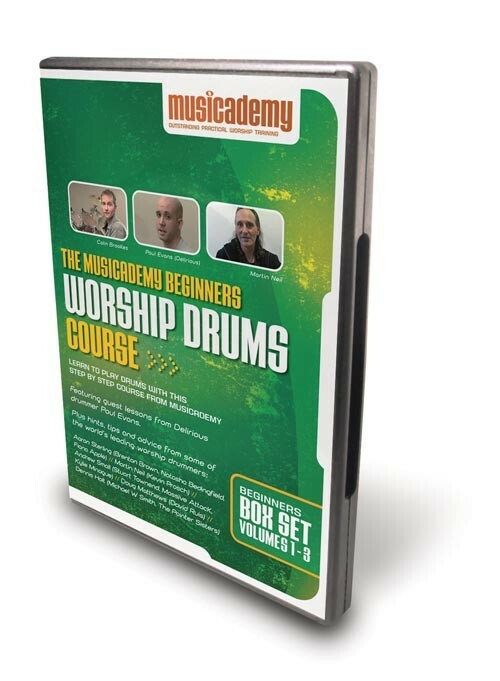 As with all the Musicademy tutorial DVDs they are excellent and I am enjoying following the lessons and inspiring tips from Christian drummers.